The new sanctions established on March 2, by UN Security Council Resolution (UNSCR) 2270 bring to mind the hardships that North Korea endured after the collapse of the Soviet Union. The economic disruption from the end of the Cold War led to a contraction of production in the DPRK and hobbled its Public Distribution System (PDS), contributing significantly to the North Korean famine of the mid-1990s. As UN Member States begin implementing this new resolution, observers should consider whether North Korea can absorb the coming economic shock without major domestic repercussions. How resilient will the North Korean economy be when subjected to these new pressures? What potential loopholes and opportunities could North Korea exploit to continue mobilizing revenue from abroad for military purposes? How might North Korea seek to mitigate the economic impact of sanctions by expanding trade and investment in non-sanctioned activities? How do these sanctions affect North Korea’s internal political economy, and its ability to pursue economic development and improvements to its economic management system? Proponents of increased sanctions expect the negative impacts on the North Korean economy will cause the North Korean leadership to revise their calculus of regime security and legitimacy and bend to the will of the international community in accepting negotiations on the nuclear and missile programs. While North Korea will most certainly experience economic pain, it is also possible that there will be unintended consequences that might be viewed as positive for the future of the economic system. The resolution excludes oil imports from China and elsewhere from sanctions, with the exception of aviation and missile fuel. Oil shipments, mainly from China, will likely enable North Korean domestic industry and transport to continue without significant disruption, depending on China’s policy for such shipments to the North going forward. UNSCR 2270 does not affect trade for livelihood and humanitarian purposes that produces foreign exchange earnings (i.e., in seafood and textiles), unless there is cause to believe that the military would benefit from proceeds. The burden of judgment on this matter would fall on the importer or exporter, who may well lack adequate information with which to deny transactions. Assessing dual-use potential may prove problematic for many organizations involved in such trade with North Korea. The sanctions exclude remittances from workers in foreign countries and foreign exchange earnings from tourism, both of which have been growing in recent years. Informal cross-border barter trade that feeds North Korean markets may also avoid mandated inspections. In addition, North Korea’s economy appears potentially more resilient than in the 1990s in two key respects: markets now play a much larger role in meeting basic daily needs and Kim Jong Un’s regime has tolerated a degree of related growth in private initiative and business acumen. These internal developments, seen in the context of North Korea’s continued pursuit of economic “self-reliance” through new domestic replacements for consumer imports and outsourced industrial capacities, suggest that its economy may be surprisingly resilient to the impact of the new sanctions, potentially encouraging continued defiance from North Korean leaders. It is crucial, then, to consider how the new sanctions may affect the North’s byungjin policy—the two-track strategy of expanding its nuclear and missile programs while developing its economy. The resolution’s impact on this strategic calculation will be evident in the leadership’s future levels of support from key constituencies in the military, the Workers’ Party of Korea and inner elite cadres. An important question will be how the regime balances its essential military needs and national pride against the management of economic challenges amplified by the sanctions. In the past, entrenched economic interests in the military have significantly compromised the government’s stated effort to improve the livelihoods of ordinary North Koreans, despite steps to broaden the Cabinet’s authority to direct economic policy and manage the economy. North Korea has creatively circumvented earlier UN sanctions, and the new resolution aims to correct many deficiencies in past measures. By increasing restrictions on banking relationships, requiring inspections of all ingoing and outgoing shipments, tightening rules for handling diplomatic infractions, and expanding lists of designated firms and individuals, the new resolution is intended to increase the difficulty and cost of North Korea’s attempted end runs around the sanctions regime. But how effectively will these additional restrictions prevent North Korea from exploiting further loopholes and shifting to new evasive methods? It can certainly be expected to probe for weak spots in their enforcement, and to find creative alternate channels. Given the international community’s less-than-stellar compliance with past North Korea sanctions, the success of these costly new measures will depend on the UNSC’s ability to convince Member States to follow through with implementation. China’s willingness to commit to the new sanctions remains an area of particular concern. The measures will, to a large degree, succeed or fail as a result of on-the-ground implementation by Chinese local authorities, companies and banks that have wide ranging dealings with North Korea. However, even a concerted sanctions implementation effort by Beijing will be complicated by China’s decentralized approach to economic engagement with the DPRK. For coal and iron restrictions, a critical measure of success will be the frequency with which Chinese authorities block specific transactions on the basis that they would benefit North Korea’s military. However, a sobering truth is that it may not be at all obvious that specific transactions will actually be used for military purposes, and both sides will have incentives to allow shipments to the extent that there is business demand for continued trade. 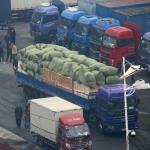 Meanwhile, implementation of the inspection requirement—of all shipments to and from North Korea—would ideally involve systematic checks of all North Korean truck or rail shipments that cross the border in the Dandong and Rason regions. It must be noted, though, that a tightened inspection regime may well lead to incentives for expanded clandestine cross-border dealings, especially if North Korean security services determine that the country could benefit from scaling back its anti-smuggling efforts. The resolution could create new incentives to reduce the DPRK’s heavy reliance on coal, iron and other minerals for export earnings. This dependence on unprocessed natural resources has reduced incentives to invest in human resources and value-added manufacturing, even though such investment would be more beneficial for North Korean workers and economic productivity. The new sanctions may create more opportunity for state enterprises and private entrepreneurs to expand the role of market-based economic activity. More flexible labor practices may also allow a greater role for market mechanisms in allocating workers, potentially increasing efficiency and contributing to both domestic demand and international competitiveness in non-sanctioned economic activities. The government may seek to provide assistance for workers most affected by the sanctions. It may prioritize use of its PDS as a social safety net rather than a resource for less vulnerable constituencies. As the donju (moneyed) entrepreneurial class gains increasing levels of control over significant business activities, there is less of a need for the regime to rely on patronage to maintaining the loyalty of the elite, most of whom now have incentives and opportunities to make money in the market economy. Even though financial sanctions imposed by UNSCR 2270 target North Korea’s ability to use the international financial system to support its trade and foreign business interests,  the impact on the country’s domestic financial system will be mainly to increase macroeconomic management challenges and efforts to control the role of foreign currencies in the markets. North Korean financial authorities have been making timid efforts to improve financial system management and services to businesses and households in recent years. The impact of sanctions is thus likely to spur greater efforts to implement long-overdue reforms in the North’s financial system and macroeconomic management capabilities. The exact political objective behind UNSCR 2270, beyond signaling the international community’s profound unhappiness with North Korea’s behavior, remains unclear. Yet beyond their possible political impact, the sanctions may significantly affect the evolution of North Korea’s economic system, with its current mix of state-controlled and market-influenced components. Pessimistically, one may expect North Korea to drift toward deeper economic isolation and domestic social distress. But there may be positive impacts on the economic system as well by changing the incentives environment for economic behaviors of both state and non-state actors and motivating an acceleration of economic reforms. UNSCR 2270 is intended to ratchet up economic pressure on North Korea to curtail its military threats to regional and global security. Reached after weeks of intense negotiations, it commits China, Russia and all other Member States to apply tough new restrictions on financial, trade and investment relations with North Korea, and to strengthen enforcement of these and earlier approved sanctions. The actions aim to create new incentives for North Korea to accept the need for serious negotiations that include its nuclear weapons and missile programs. Pressuring the North Korean regime to the point of collapse is not an objective of the UNSC sanctions regime, and UNSCR 2270 includes repeated expressions of concern in for the humanitarian needs of the North Korean people. These mineral exports have represented North Korea’s dominant source of earnings from trade with China. In reality, it is nearly impossible to assess how foreign exchange earnings by government-owned companies engaged in such businesses are allocated within North Korea’s budget to meet military versus civilian needs. This ambiguity clouds the picture of how UNSCR 2270 will be implemented in practice. A contingent of independent enterprise managers, farmers and local government officials participate in what is becoming a more decentralized economy; with the rising donju entrepreneurial class, they are gradually changing the landscape of North Korea’s domestic political economy. Increasingly, tolerance of expanded market activities and efforts to improve economic management are bolstering the efficient use of domestic resources and helping to strengthen the domestic economy. The regime’s response to these challenges, which include 50,000 lost jobs from the Kaesong Industrial Complex and prospective losses in the mineral mining workforce, could have major significance for the 7th Party Congress planned in May. Pressures from the emerging middle class, which depends more on markets than on regime patronage, could also influence the leadership’s future political choices. In this environment, the diplomatic challenge for the international community will be to provide North Korea’s leadership with a credible and face-saving alternative to new escalating provocations, potentially making new negotiations possible. Restructuring the economy while maintaining the military’s support is a key challenge now facing North Korea’s leadership. This reality underpins expectations that the upcoming Party Congress in May will have significant implications for North Korea’s national security and economic development. The recent Report of the Panel of Experts on compliance with earlier UNSC sanctions documents widespread evasion: www.undocs.org/s/2016/157. Cash-based transactions reduced North Korea’s dependence on the international financial system. Front companies in other countries successfully avoided the sanctions umbrella for both military and luxury goods. Non-sanctioned trade shipments masked sanctioned goods that escaped detection. Foreign diplomats used their privileged status to engage in activities that eluded sanctions. Lax sanctions enforcement by many countries permitted North Korea to operate in those areas without significant strain. Ambiguities in past sanctions, such as an unclear definition of luxury goods, offered ample opportunities to undermine their intent. To stimulate the growth of the DPRK’s market economy, China has emphasized enterprise-to-enterprise economic relations and cross-border trade with North Korea over the use of inter-governmental aid. In a similar vein, William Brown suggested in a recent 38 North article that South Korea’s closure of the Kaesong Industrial Complex has the benefit of eliminating the practice of not paying wages directly to workers. While reducing easy foreign exchange for the regime, this reinforces a desirable direction of labor policy in North Korea to pay wages directly to their workers rather than the government. Elsewhere in North Korea, the practice of paying real wages to employees is slowly expanding, both in state enterprises and in the growing number of market-oriented businesses. This principle has also been incorporated in the laws adopted for other special economic zones that have become a priority for the North Korean government. The “natural resource curse” that such distortions inflict on policymaking and economic management is a common affliction in other parts of the world. While North Korea and Myanmar have little in common, their heavy reliance on natural resource exports and military ownership or control of the companies engaged in such trade is a striking similarity. As Myanmar moves through a dramatic democratic transition, the country is redirecting policy to nurture the private sector and pursue inclusive economic development reforms that promise to significantly improve the lives of its people. Such restrictions are likely to deter foreign banks and business partners from dealing even with undesignated North Korean firms, due to added transaction costs and reputational risk concerns. While the banking system that serves the DPRK’s domestic needs remains underdeveloped, the government is committed to significant changes intended to accommodate the growing role of markets and increasing amount of privately held monies circulating inside North Korea. While the new sanctions will restrict the establishment of new financial offices or accounts by foreign banks, existing foreign bank offices and accounts are allowed to remain operational.